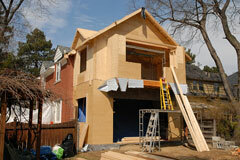 Are you ready to design your home addition? By taking care and planning carefully, you can design added space for your home with superior style and function. First of all, as you add on keep in mind your home's current style. No matter how much you love the contemporary, modern look, an addition of this sort just won't work on a home with Arts & Crafts architecture. If you are uncertain about whether a certain design will work with your home, get the opinion of your architect. He or she should have a good idea of what will work and what won't. Also be aware of the materials that you use, and whether they match the materials of your home. While the materials used on the exterior of your home don't necessarily need to match, they should complement each other. Keep proportion in mind as well. 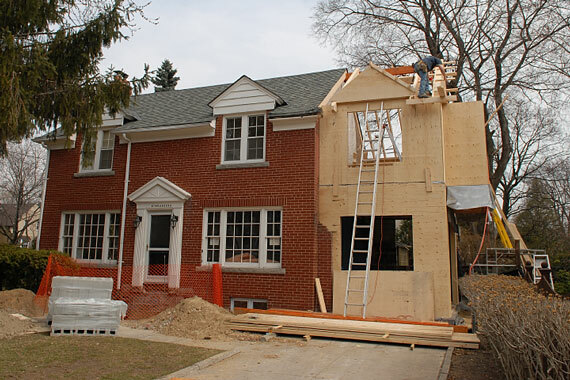 An attractive addition will have roof lines and architectural lines that are similar to the original structure. You should have a good idea regarding design and architectural style before you meet with your architect. Be sure to keep notes during your planning stage, and store them in a binder or notebook for easy reference. Items like pictures, brochures, and notes can help give your architect vision and will help ensure that your addition turns out exactly as you dreamed. As you design your home addition, keep in mind that less exciting things like plumbing, electrical, and heating will probably factor in. As a matter of fact, there's a good chance that these things combined will eat up a sizable portion of your budget. The design phase is a good time to assess what needs to be done, so you can factor this into the cost of the entire project. The design phase of your addition is a great time to consider any interior changes that you want to make to your home that will make it more livable. Is there a part of your home where the rooms don't flow well or a passageway that seems crowded? You may be able to fix these issues when you build your addition. Finally, when designing your new living space don't forget style! With the help of your architect, you can create an addition with character and personality. Pay attention to the details!